Today, IT is an extremely fast changing landscape. Our students are now coming equipped with a vast level of digital skills, which means they have high expectations and demands of their digital experience here. I see my role really focusing on making sure our IT stays contemporary while making sure we meet the new era of cutting-edge digital expectation of students. This will require increased innovation to make sure we meet these expectations and hopefully offer something unique. Now that UK HE recruitment cap has been lifted, competition will start to get even more intense, not just locally but also internationally. I certainly see a more business-oriented, focused approach to developing services and recruitment strategies. My department is challenged with being able to provide and deliver better IT services to support this and no doubt with tighter resources, looking to see where even more efficiencies can take place whilst making sure we stay competitive, especially providing these services remotely to partners, staff and students across the globe 24/7. I see myself being an intrinsic part of the IT services here at the University of Sunderland, providing leadership to the strategies to really deliver on the students’ digital expectations and keeping the business competitive. As I worked at the university at such a young age and quickly progressed into management, I feel I have a great understanding of aspiring young professionals (having been one), and I would love to mentor the future of the University. I get great satisfaction from knowing I have been an integral part of developing skills and harnessing abilities and aspiring mindsets. The UK HE sector feels like an extended family, and everyone’s really friendly and happy to share advice, experiences and even just bounce ideas around, or when one institution has done it already, offer collaboration where it makes sense. I love the vast cultures of students coming to the UK to learn; it’s so interesting to engage with them. HE really is a global market place now. 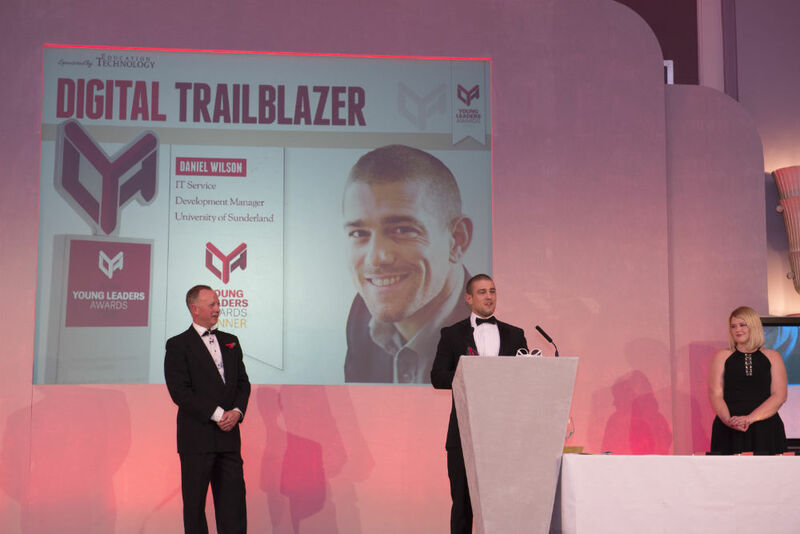 I feel very proud and honoured to have been nominated and recognised as a young leader at a national level amongst all the other great young leaders within higher education, and exceptionally proud to have won the digital trailblazer category. I think it will certainly raise the profile of the great work I have done at the university, and provide professional recognition amongst peers.